Last year I went on a road trip in September, mainly through France and Italy. Unfortunately, we didn’t go to Rome but it’s definitely on my “need to go there”-list! Thinking back about that road trip and then seeing One Summer in Rome on NetGalley… Well, my mind was made up pretty quickly. This romantic wuss practically melted just thinking about a romance in the country of delicious pasta and pizza. I have to start with the most obvious thing here. The thing I absolutely loved most. Dante is blind. I love it. I adore it. I adore him. I thank Samantha Tonge from the bottom of my heart for this. I want to see more deaf / blind rep in books, so I was already a fan before I got into the story decently. Not to mention Dante’s character. Lord above, he sounds intriguing right from the bat. Mysterious, blind, independent?! Step out of your comfort zone because there is nothing comfortable about regrets when you’re facing your own personal journey of no return. The second thing I loved best about this novel is that there are some topics that I didn’t expect. I thought One Summer in Rome would be this fluffy, light read to cozy up with but there are actually some serious topics tackled here. Spoiler and trigger warning, though! I’m putting it in white for those of you who don’t want to know: suicide, abuse and alcoholism. Two subjects I’m familiar with myself, one I’m not. Simply the fact that they’re incorporated in this story made me cherish it even more. I loved the setting of this story. Of course Rome, but more specifically a restaurant. You guys know I love my food so you can’t blame me for loving settings like that. Not at all. It just adds that extra ingredient for me. I can easily imagine the way it looks, the way it smells. I traveled all the way to Rome while reading and I loved it. Our MC, Mary, can be so ridiculously naive. And, sure, that’s very possible. I didn’t really have any big issues with it at first. Until it appeared that she was totally grown-up about other things. It felt.. wrong somehow? That she could be so naive toward one thing, but so grown-up towards another? I don’t know. It’s hard to explain. Apart from that, there’s one more issue I had with the main characters of this story, Marie and Dante. I didn’t feel their chemistry. Sure, this is totally subjective but since it’s a romance novel, I do think it’s a pity that I didn’t feel all that tension between them. The only way to get through life was to face things head on. I have to say that the writing in the uncorrected proof sometimes got on my nerves a bit. Since almost all characters were Italian, it felt as if the author also wanted the English to read as if an Italian was talking. Basically some conversations didn’t really read very fluently and it took away some of the reading pleasure on my part. I do hope that’s fixed in the finished novel though! All in all I definitely enjoyed this novel. It’s a fun and quick read with some very unique characters and aspects added in the mix. 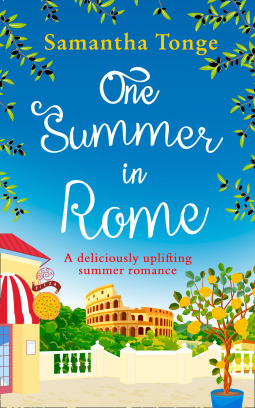 One Summer in Rome will be released May 9th so be sure to order your copy! 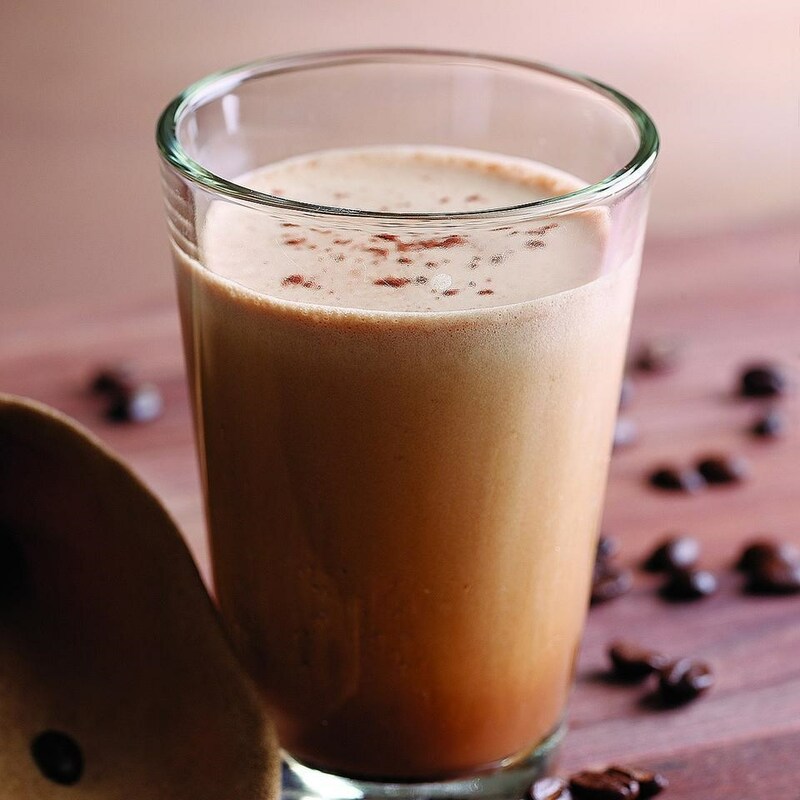 As for the munches, here’s a delicious mochaccino! Which is pretty much Marie’s favorite drink, I reckon. Courtesy of Google for the picture because I’m not really a big fan of coffee and just… wasn’t feeling like sacrificing myself this time around, haha. Do you know of any other books with blind / deaf rep? I would love to hear about those! Quotes are taken from an uncorrected proof and might differ from the finished copy. ‹ PreviousThe Exact Opposite of Okay might just be PERFECT. Pingback: The 20 Questions Tag !! Let’s chat !! – BOOKS AND CO. I had a very similar response to this book. I liked the heavy issues touched on in this story. I noticed the same issues with dialogue too. Oddly enough, I really felt Dante and Mary in certain scenes. In a couple others it was just okay. Overall I enjoyed their story a lot. Been to Rome twice. Highly recommend it! I haaaate the tourists everywhere thing. Even when I’m being the tourist myself, haha. Is it me, or is this weird tourist-characteristic that they only care about their own experience and other tourists can just back off and wait half an hour for them to take two hundred pictures? It’s why I mostly try planning my trips in holiday-free periods. It helps.. a bit..
Why would they even want to know if you’re Russian?! So weird! And public transport.. Yeah.. I remember being totally freaked out by it when in London for the first time. It’s madness. Well, maybe it’s an important info in rome, who is from where… 😀 No idea tho. I like to think i’m a very considerate tourist, but who knows… ? Awww, Dante character caught my interest too! I want to read this one, thanks for the great review!! Right?! Definitely a unique style!